(Price per Unit Instead of £45.90. You save £2.30 due to the online discount . 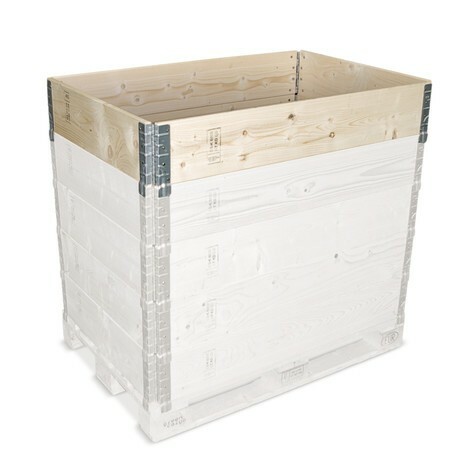 This practical wooden stacking frame turns a simple EPAL pallet into a box with a solid frame. The frame is applied via the metal hinges with retaining brackets that are located at the corners. These practical wooden stacking frames provide you with a flexible and customisable storage solution. 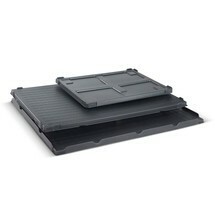 The metal hinges at the corners ensure easy storage and straightforward handling. The hinges allow you to collapse the wooden frame for space-saving storage. 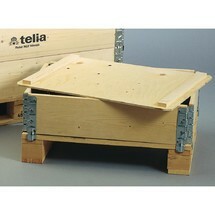 The hinges feature retaining brackets for secure, stable attachment to the pallet. It is also possible to stack multiple frames on top of each other, thereby adapting the height to the stored goods. The hinges are galvanised and thus highly corrosion-resistant. The high-quality pinewood construction means that the frame can be used time and again. The result is a durable and versatile storage solution, which can be supplemented with a range of accessories, incl. document pouches, frame dividers, covers and stacking corners. Transform your pallets into boxes by ordering the practical wooden stacking frame from our shop today.